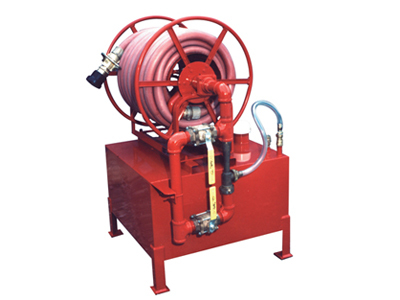 Minuteman Hose Reel Foam Stations – SOS Safety International Inc.
Minuteman Series Hose Reel Foam Stations are pre-engineered firefighting systems consisting of a foam concentrate storage tank, proportioning equipment and hose and discharging devices. 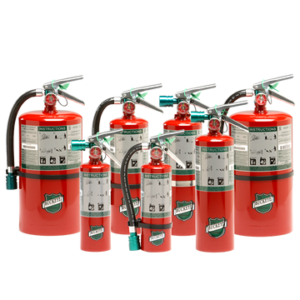 These fixed equipment components are compact in design and easy to install, yet are powerful tools when mounting an effective attack against a hazardous situation. 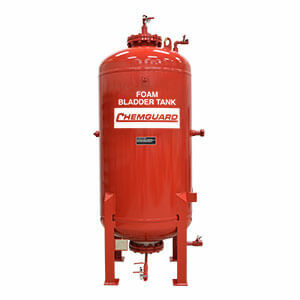 Minuteman I is a self-contained hose reel foam station with a built-in 60 gallon (227 L) stainless steel foam concentrate storage tank and a 60 or 95 gpm (227 or 360 Lpm) foam eductor – selectable at 1% or 3% with water bypass. The tank is completed with a pressure/vacuum vent, 6” (150 mm) fill opening with cap, 0.75” (19 mm) drain plug, lifting eyes, and rigid concentrate pick-up line to tank bottom. On top of the tank, the hose reel holds 100 feet (30.5 m) of 1.5” hard rubber hose and a constant flow 60 or 95 gpm (227 or 360 Lpm) fog/straight stream nozzle. 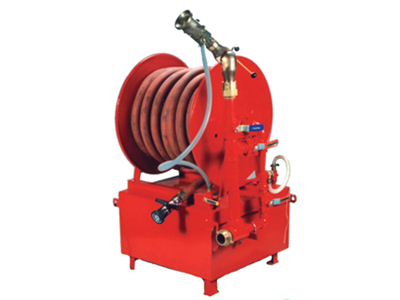 The system is equipped with brass water inlet manifold and supplied with red polyurethane paint finish. Minuteman II has a pre-plumbed monitor with nozzle in addition to all the features contained in Minuteman I. 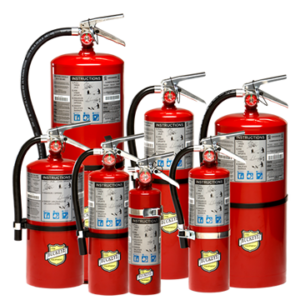 It also features a 2” waterway “Mini Monitor” and a self-educting Small Body Hydro-Foam nozzle that is capable of flowing 150 or 225 gpm (568 or 852 Lpm) with 1% or 3% self-educting foam proportioning. 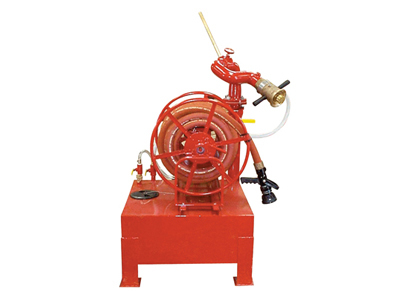 Monitor and hose line can be used separately or simultaneously with foam or water. Minuteman II allows firefighters to knock down the fire from a distance prior to attack with the hose line. Minuteman III packs even more knock-down power than Minuteman II. It features a 3” waterway monitor and a self-educting nozzle capable of flowing at 350 or 500 gpm (1,325 or 1,893 Lpm) with 1% or 3% foam proportioning. Similar to Minuteman II, the monitor and hose line can be used separately or simultaneously with foam or water.